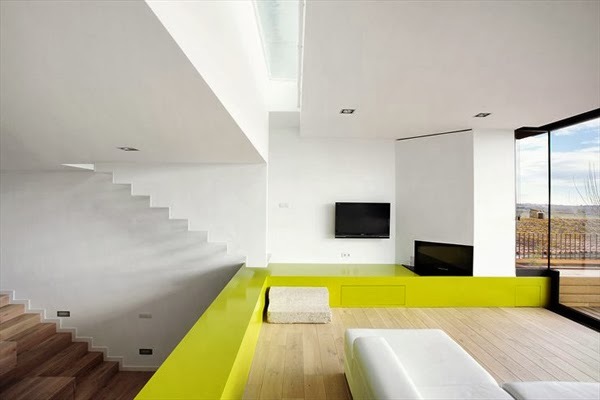 Most modern interior designs focus on featuring a bold accent color to spice up the décor. 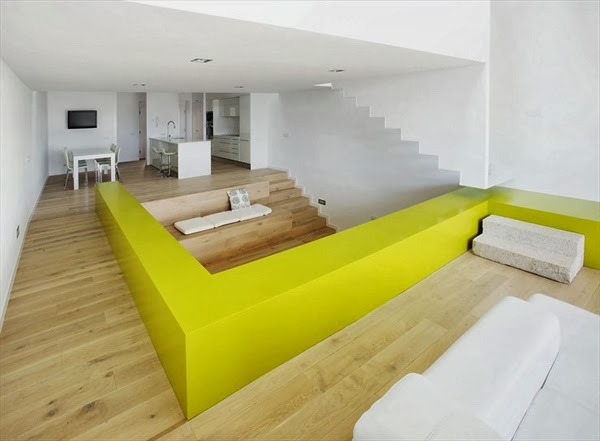 In the case of this house, the color chosen to be the star of the design is yellow. 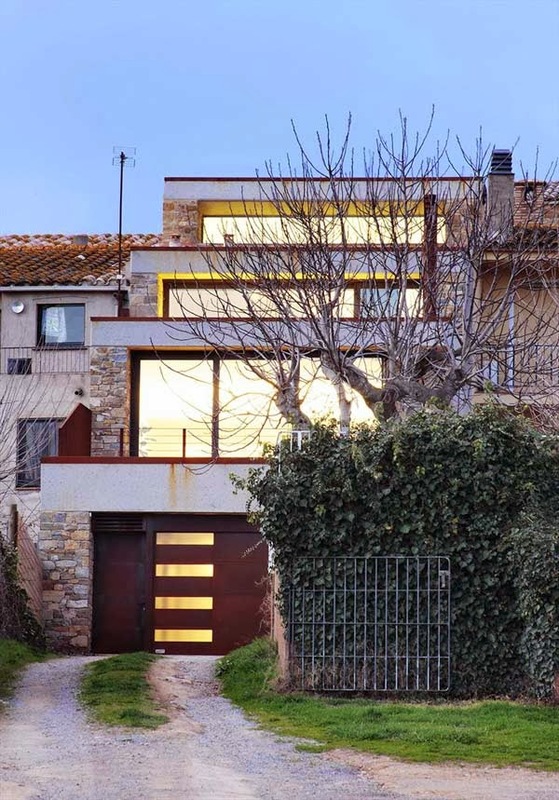 Located in Girona, Spain, this home was designed by 05 AM Arquitectura. It has an ultra-modern interior with a minimalist approach. The residence is a multi-level structure with a terraced layout and a cascading internal design. 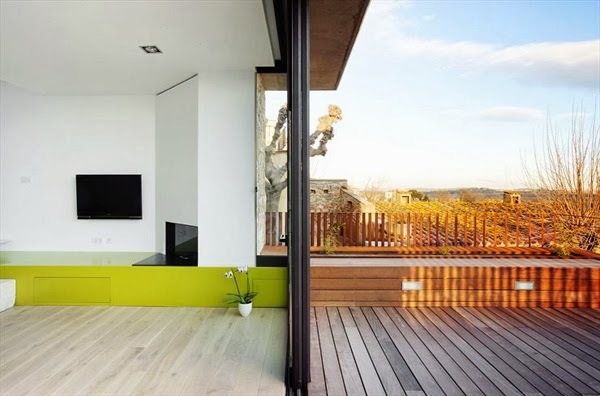 A very nice feature and a characteristic of most modern homes is the open design. As you go from one level to another, the whole floor opens up and reveals its décor and an open, clean view. 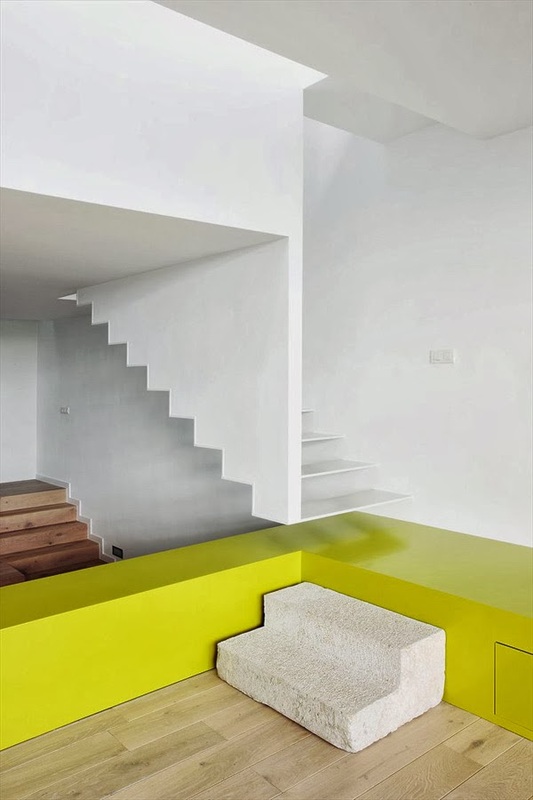 The house is accessible from the upper and lower street level and its interior is minimalist and very clean. The color palette features white as a main color. White was used for all the walls throughout the house as well as for the ceilings and it creates a neutral and very bright background for everything else. The large windows let in plenty of light so the whole décor becomes even brighter and seems more spacious at the same time.